Issue: Right to Appeal coming into existence after the time of lis: Whether available. 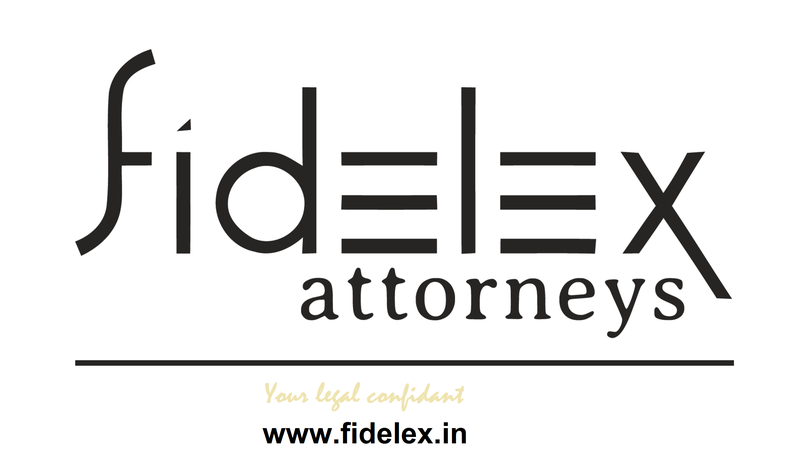 Facts: The petitioners filed applications under Section 12B of the Monopolies and Restrictive Trade Practices Act, 1969 (‘MRTP Act’), seeking compensation on the ground that they had suffered loss and damage as a result of the monopolistic, restrictive or unfair trade practice carried out by the respondent. A preliminary objection was taken by the respondents that such applications were not maintainable, in the absence of separate proceedings to prove the alleged monopolistic restrictive or unfair trade practices. Thus the issue to be determined therein was whether in the absence of separate proceedings alleging unfair, monopolistic or restrictive trade practice, an application for compensation under Section 12B of the MRTP Act was maintainable. Relying upon the judgement of the Supreme Court in Saurabh Prakash v. DLF Universal Ltd. (2007) 1 SCC 228 the Competition Appellate Tribunal, Delhi held that in the absence of separate proceedings alleging unfair, monopolistic or restrictive trade practice, an application for compensation under Section 12B of the MRTP Act was not maintainable. Being aggrieved from the said order of the Competition Appellate Tribunal, the petitioners filed writ petitions before the High Court. The respondents referring to s.66 of the Competition Act contended as a preliminary objection that since an appeal to the Supreme Court is provided against an order passed by the COMPAT, a writ petition under Article 226/227 of the Constitution of India is not an appropriate remedy. Contention: The MRTP Act did not provide for an appeal against the order passed by the MRTP Commission on an application under Section 12B of the Act. However, Section 53T of the Competition Act, provides for an appeal to the Supreme Court against an order passed by the Competition Appellate Tribunal. The contention of the petitioners is that since the petitions pending before the MRTP Commission which were transferred to the Competition Appellate Tribunal in terms of Section 66 of the Competition Act are required to be adjudicated in accordance with the provisions of the repealed Act, i.e., the MRTP Act, and not in accordance with the provisions of the Competition Act, 2002, they do not have a right to challenge the impugned order by way of an appeal in terms of Section 53T of the Competition Act. That the rights and obligations of the parties including the right to file an appeal, if any, get crystallized on the date the original petition is filed, therefore, the right of appeal to the Supreme Court is not available. The respondents contended that though the right to appeal is a substantive right to be conferred by a statute, such a right can certainly be conferred under the provisions of the repealing Act, even if it is not available under the repealed Act. That though a substantive right which accrued to a person under the repealed Act cannot be taken away there is no legal bar on conferring an additional right such as right to file an appeal, by making an appropriate provision in this regard in the repealing Act. 1. The Court agreed with the respondents that it is by now a settled legal proposition that the right to file an appeal, created by statute is a substantive right which remains unaffected by the subsequent changes in law, unless taken away expressly or by necessary application, though the mechanism for enforcement of such a right being procedural in nature can be changed even retrospectively. However, the legislature, while repealing an Act, in my view is certainly competent to confer an additional right by providing for an appeal to an appropriate forum. A party is not in any manner prejudicially affected on such an additional right being granted to him while repealing an enactment. “A careful perusal of Section 53T of the Competition Act would show that an appeal to the Supreme Court is provided against ‘any order passed by the Appellate Tribunal’ meaning thereby that the remedy is available against every order of the said Tribunal irrespective of whether the order is passed under the provisions of the Competition Act or under the provisions of the MRTP Act, 1969. Had the legislative intent been to grant right of appeal only against the orders passed under the provisions of the Competition Act, Section 53T would have been framed in a different manner by providing for an appeal only against an order passed by the Appellate Tribunal under the provisions of the said Act.” The impugned orders came to be passed by the Competition Appellate Tribunal much after the MRTP Act had been repealed and the Competition Act had been notified. Therefore, despite the fact that the original application was filed under the provisions of Section 12B of the MRTP Act and in view of the provisions contained in Section 66 of the Competition Act as also Section 6 of the General Clauses Act, the said petitions had to be decided in terms of the provisions of the MRTP Act, an appeal against the order passed by the Competition Appellate Tribunal, after coming into force of the Competition Act would be maintainable. The Court referred to Nathoo Lal v. Durga Prasad AIR 1954 SC 355, a decree came to be passed by the High Court of former Jaipur State on 3.3.1949, concerning a suit for possession of property. The defendant applied for review of the said judgement. In the meanwhile the Jaipur High Court became defunct and review was heard by the Rajasthan High Court as successor to the Jaipur High Court and was partially allowed on 5.4.1950. An appeal against the said judgement and decree came to be preferred by leave of the Rajasthan High Court under Article 133(l)(c) of the Constitution. When the appeal came up for hearing the learned counsel for the respondents raised a preliminary objection as to the maintainability of the appeal. He contended that according to the Code of Civil Procedure of the Jaipur State, the decision of the Jaipur High Court had become final as no appeal lay from it and, therefore, the appeal before the Supreme Court was incompetent. The contention, however, was rejected by the Apex Court noticing that the order under appeal was passed by the Rajasthan High Court after coming into force the Constitution of India and, therefore, the provisions of Article 133 were attracted to it and it was appealable to the Apex Court subject to fulfillment of other requirements of the said Article. It was further held that the Code of Civil Procedure of the Jaipur State could not determine the jurisdiction of the Apex Court and had no relevance to the maintainability of the appeal. Thus, despite the fact that no appeal against the order passed by the Jaipur High Court was available at the time lis before the said High Court was instituted, the Apex Court, considering that the order impugned before it had been passed after coming into force of the Constitution, upheld the right of appeal conferred under Article 133 of the Constitution. 2. It is settled legal proposition that the High Court in exercise of its extraordinary jurisdiction under Article 226/227 of the Constitution will not be justified in intervening in the matter, when an equally efficacious alternative remedy is available to the petitioners before the Court. The remedy of appeal is, in fact, more efficacious than the remedy by way of a writ petition under Articles 226/227 of the Constitution and there is no reason why the petitioners should not avail the said remedy. The Court referred to Titaghur Paper Mills Co Ltd v. State of Orissa (1983) 2 SCC 433, wherein a Three-Judges Bench of the Supreme Court, noticing that under the provisions of Central Sales Tax Act, 1956, the petitioners had right to prefer an appeal before the prescribed authority under sub-section (1) of Section 23 and (in case dissatisfied with the decision in the appeal, a further appeal under sub-section (3) of the said Section, held that since the Act provided for a complete machinery to challenge an order of assessment, it could be challenged only by the mode prescribed by the Act and not by a petition under Article 226 of the Constitution. In this regard, the Court reiterated that where a right or liability is created by a Statute which gives a special remedy for enforcing it, the remedy provided by that Statute only must be availed of. The aforesaid view was reiterated in Assistant Collector of Central Excise, West Bengal v. Dunlop India Limited (1985) 1 SCC 260 holding that Article 226 is not meant to short-circuit or circumvent the statutory procedure. It is only where statutory remedies are entirely ill-suited to meet the demands of the extraordinary situations, for instance, where the very vires of the statute in question or vindication of public justice is required that recourse may be had to Article 226 of the Constitution. In Punjab National Bank v. O.C. Krishnan (2001) 6 SCC 569, Supreme Court declined to entertain a petition under Article 226 of the Constitution, noticing that the order passed by the Tribunal was appealable under Section 20 of the Recovery of Debut Due to Banks and Financial Institutions Act, 1993. In GM, Sri Siddeshwara Co-operative Bank Ltd. v. Sri Ikbal 2013 (10) SCALE 396, Supreme Court, noticing that against the action of the bank under Section 13(4) of the SARFAESI Act, the borrower had a remedy of appeal to the Debt Recovery Tribunal and also noticing that the borrower did not avail of that remedy and further remedies from that order and approached the High Court in extraordinary jurisdiction under Article 226 of the Constitution, set aside the order of the learned Single Judge and Division Bench of the High Court, interfering in exercise of writ jurisdiction of the Court. The Court therefore, dismissed the writ petitions. This entry was posted in Competition Law, Constitution. Bookmark the permalink.